Kids and Teens :: Canadian Culture Directory :Powered by Canada's People - this is our Canadian Culture. 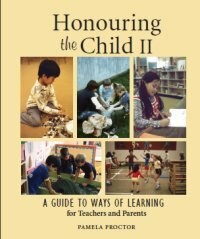 Following the successful release of Honouring the Child: Changing Ways of Teaching, Author/Consultant Pamela Proctor traveled to over thirty communities in British Columbia to meet with teachers and parents. Through these interactions she became aware of a need for practical information on how to organize, facilitate, and enhance young children's personalized learning. Big Adventures is a licensed daycare centre with a caring, qualified staff. Introduce your child to the nurturing environment of Canada Childcare, where they can have proper education and full-fledged mental development right from the early age. Since inception, we are getting government subsidy and various other allowances that help us maintaining the best of the standards. Our trained ECE staffs are focused on providing quality learning to the students. Give us a call to discover more about us. Crock A Doodle is a paint your own pottery studio. Choose your piece from our wide selection including mugs, plates, bowls and more! Our fabulous staff will give you tips, ideas and techniques to help you create your own work of art...remember it's fun art not fine art so anything goes! Come on in to paint and play...add some colour to your day! There's hands-on fun for everyone in our cool and colourful studio. A special place to gather with family and friends. Enjoy some creativity! Junior Scholars is an independent, professional childcare center that is conveniently located in Surrey, BC. Offering exceptional programs that cater to the needs of the surrounding community and providing care and education for children aged between 6 months and 10 years of age. Programs include Infant and Toddler, Preschool, Pre-K Daycare and Out of School Care. Need a day care in Burlington? The Ressel Day Nursery School provides excellent early childhood education. We have programs for infants to 9 years. Call today.